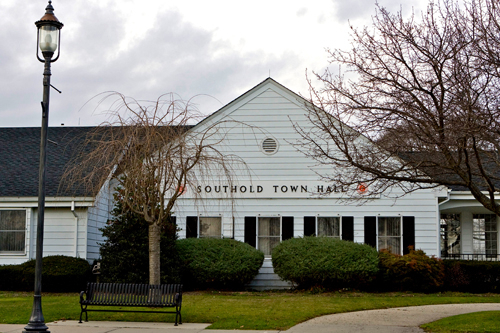 The Southold Town Board set a public hearing on a code change that would further define what requirement a winery in town has to meet. The suggested language includes defining a winery as a place where wine is “produced, processed and sold” and calls for 80 percent of the wineries’ grapes to be grown on the premises or other land owned by the winery owner. It’s become a yearly late autumn tradition that leaders from social service agencies across the North Fork attend Town Board meetings to plead for money, specifically through federal Community Development Block Grants. The organizations that serve the neediest and poorest of our neighbors rely on those grants for critical funding. Southold Town is holding a public hearing tonight regarding a proposed parking ban on Second Street in New Suffolk. The draft law prohibits parking on both sides of the street from the southerly intersection at Main Street to the northerly intersection at Jackson Street. Parking conditions on Second Street have caused undue congestion, restrictions on access and maneuverability as well as dangerous traffic impacts, according to the proposed bill. The public will have a chance to weigh in on the idea during the Town Board’s regular meeting at 4:30 p.m. in the Town Hall Meeting Room. Also tonight, the board is expected to schedule a public hearing on the allocation of a Suffolk County Community Block Grant. Each year the town receives approximately $98,000 in Suffolk County grant funding to meet local housing and community development needs. During this evening’s regular session, the board is expected to schedule a public hearing to discuss the grant Nov. 19. In past years, organizations such as CAST, Maureen’s Haven and the North Fork Housing Alliance have presented pitches on the best way to allocate the money. Individuals will be invited to speak at the Nov. 19 hearing as well.